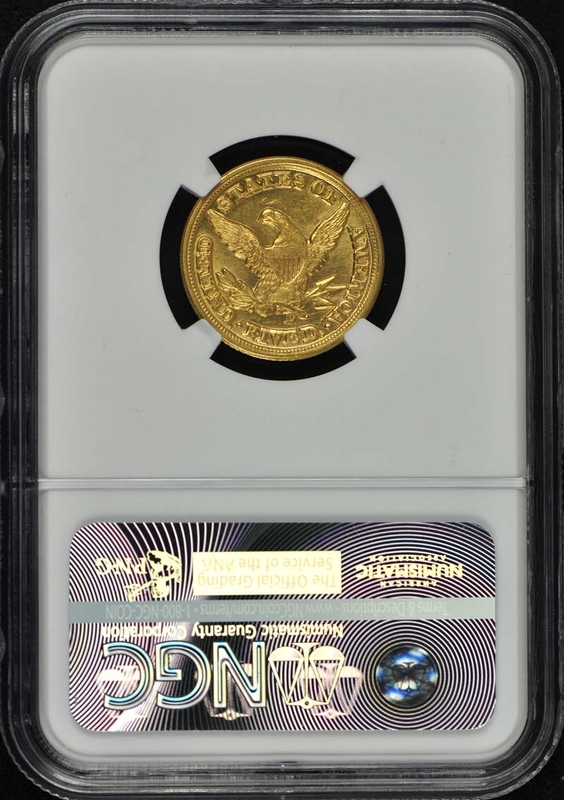 In most grades; the 1853-D half eagle is the most readily available issue from the Dahlonega Mint and a large number of examples are offered at auction each year. 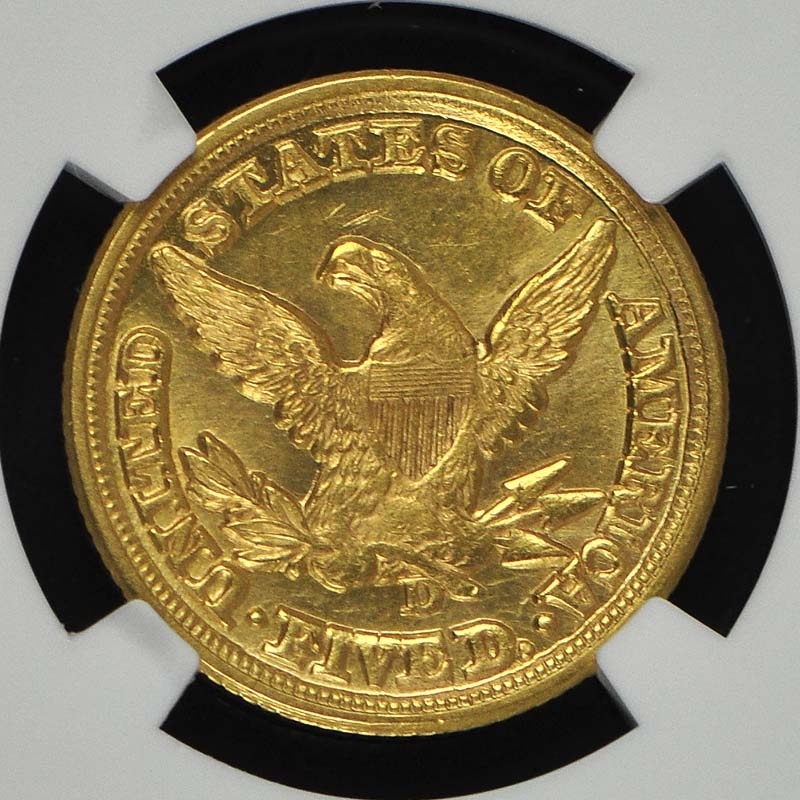 Hence; the 1853-D half eagle is very desirable as a type coin from this popular Southern mint. 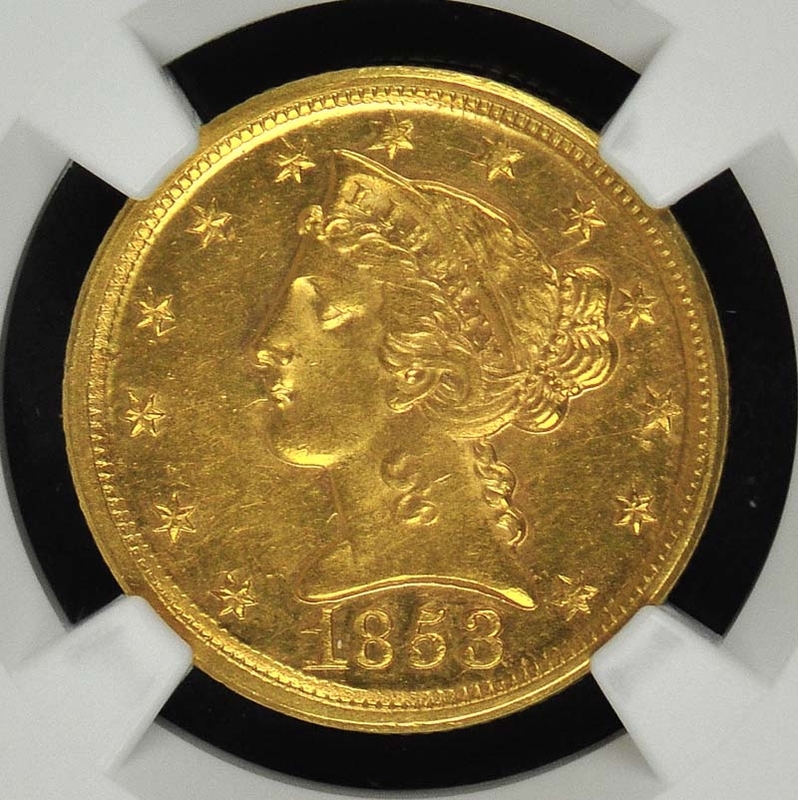 Most of the coins seen are boldly struck but with weakness on some parts of the surfaces. This issue was heavily circulated; and many specimens are found well worn or damaged. Examples are also sometimes seen with matte-like surfaces; most likely caused by seawater submersion. The finest examples include those from the Ed Milas Collection of No Motto half eagles and the Dukeís Creek Collection. 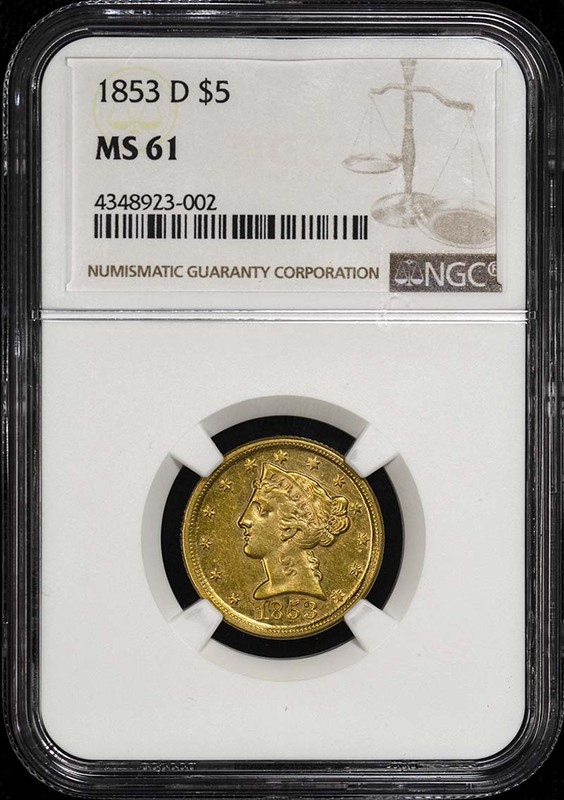 None have been graded finer than MS-64 by PCGS or NGC. Large and Medium mintmark varieties are know for this date; with the Medium variety being the rarest of the two.